Sleepovers are one of the best parts of being a kid – for most it’s as simple as inviting over a few friends, staying up late, and having a good time talking, watching movies, or playing games. Many parents want to do everything they can to make sure the night is perfect, including making treats for the kids, or setting up a great sleeping area, or even picking up a few games or movies for the kids. The first significant consideration when trying to make a sleepover fun is where all the children will spend their time. The family or living room is often a good choice because in most homes it is the largest area. One small setback that some may experience is a lack of seating, especially if they are having some kids over for the night. Thankfully, there are a few inexpensive and simple ways around this problem. The easiest way to deal with a lack of seating is to look for inexpensive children’s bean bags or large floor pillows that the kids can use while watching movies or playing games. Using pillows or bean bag chairs is often perfect for kids because they can move them around as needed, and can easily be pushed out of the way when it comes time to go to sleep. No sleepover is complete without games and snacks, which is why most parents look for easy options that can be created or set up in no time, such as finger food and board games. Board games are a top choice for many younger children because they often can be played by several children at once, instead of just one or two at a time on a console gaming system. For parents planning to set up several kids bean bag chairs, board games can present a unique challenge since they usually need to be placed on a flat surface like a table or floor. One way to handle this is to set up low tables that can be reached from either the floor or while sitting in a kids bean bag. These tables are easy to find at most furniture or larger retail stores and are reasonably affordable. Another option is to use a floor mat, or even an old yoga mat to create a non-slip surface so that the board game or cards and other pieces do not slide around as the kids are playing. Depending on the game, it is also possible to use a kids bean bag as a table. One thing to keep in mind when doing this is that the beanbag should be pressed as flat as possible to make a good surface. The last consideration for parents during sleepovers is figuring out where everyone will sleep. Most children are happy with sleeping bags or blankets on the floor, but there are plenty of other options. If a pull out sofa is available, this can make a good spot for several children. Air mattresses are also a popular choice, but they can be more challenging to set up and take up a lot of space. 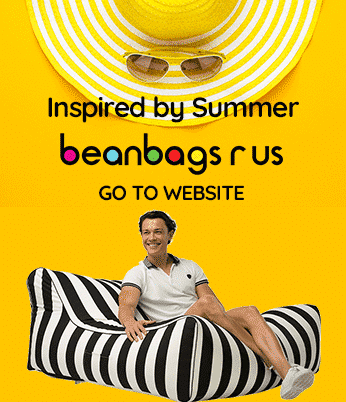 One option is to look for children’s bean bags that have a lounge chair shape to them, as many of these can be converted into a quick and comfortable place to sleep.